“The 2,500 members at Rhode Island Hospital should be proud. 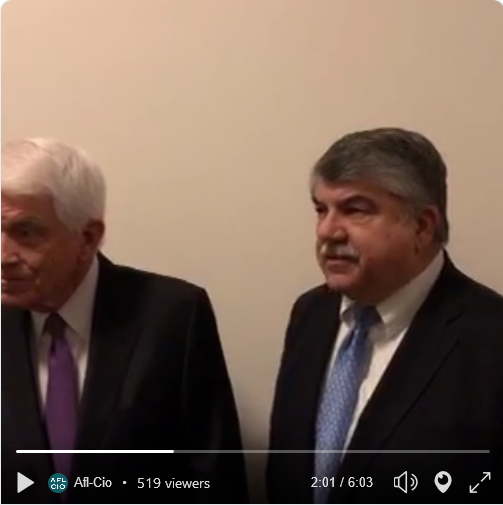 It was their solidarity that led to this agreement,” said Matt Taibi, Teamsters Local 251 Secretary-Treasurer. 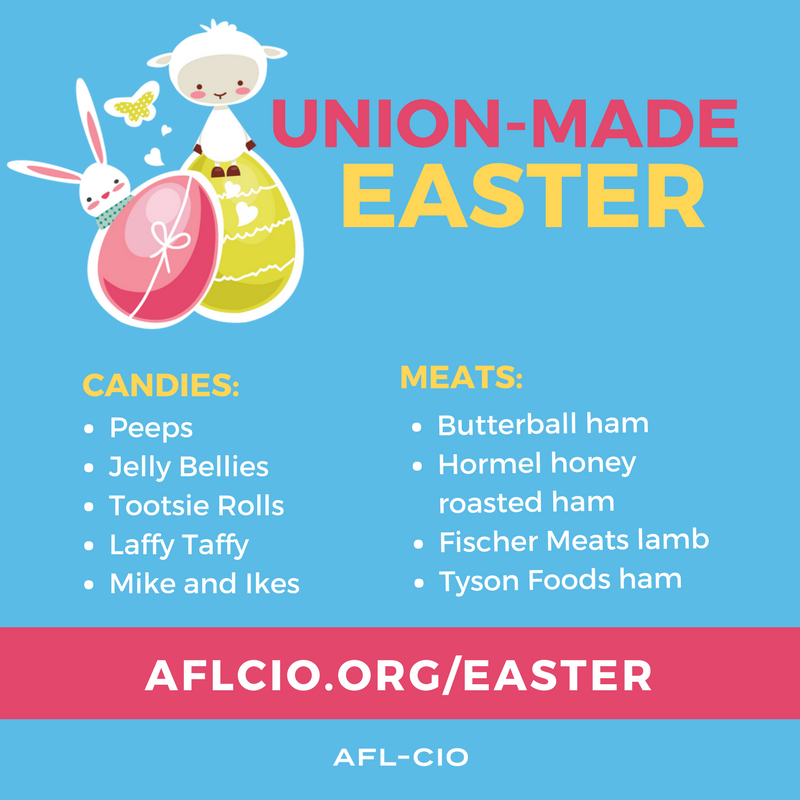 “This contract wasn’t won at the table; it was earned through months of organizing by our members. They stood strong in the face of the company and achieved a contract they deserve. 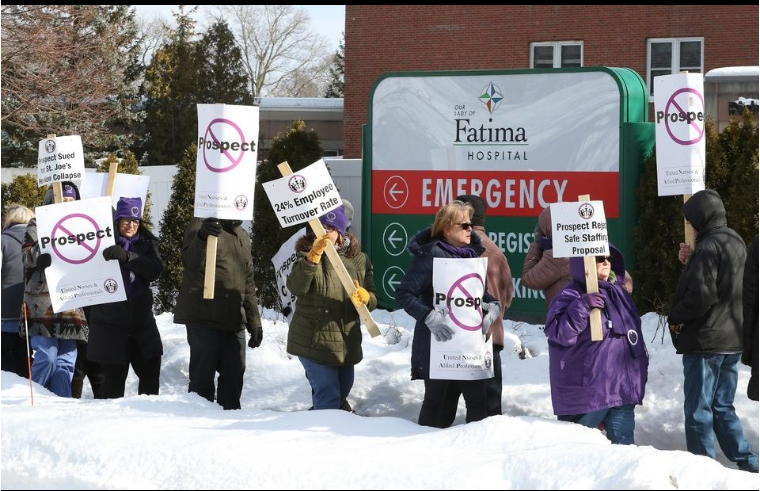 ”The bargaining unit includes nonclinical and clinical support and skilled maintenance workers. 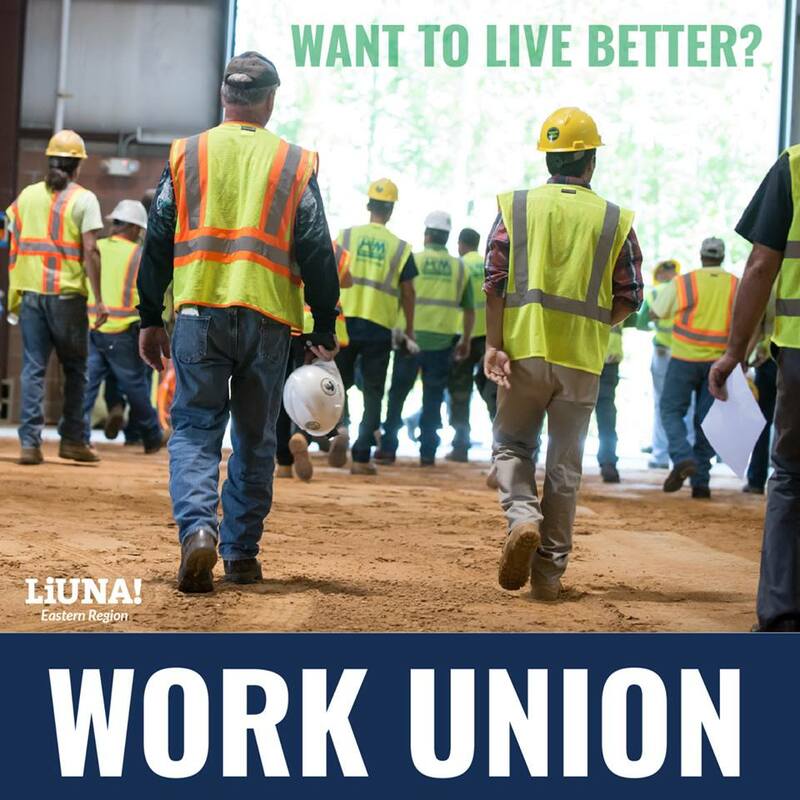 After months of member to member organizing and surveying the needs of the members, the union negotiating committee set out to satisfy key demands of the workers. 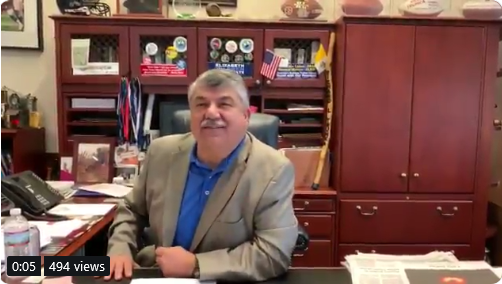 This contract addresses the important issues of fair wage increases, a $15 minimum wage, Teamster health care benefits, retirement security, quality jobs that support families and job security. 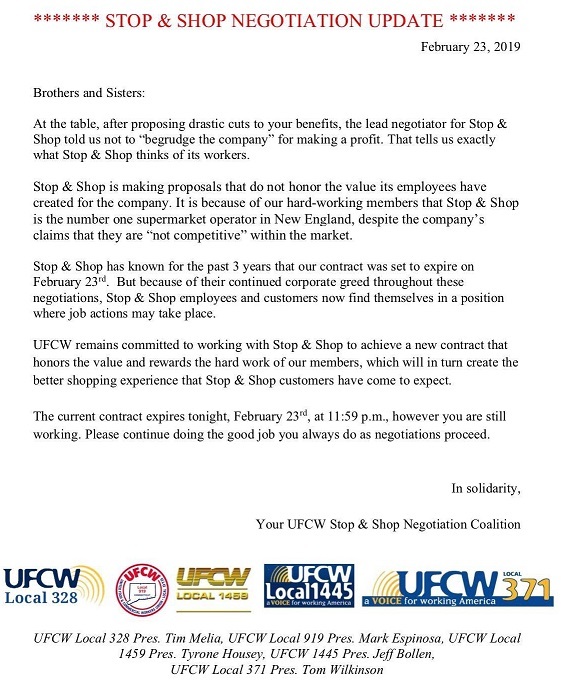 As you know, 10,000 members of UFCW Local 328 who work at Stop & Shop are standing together for a fair contract that recognizes their hard work and dedication. On April 11th, these brave women and men walked off their jobs at over 75 Stop & Shop stores in Rhode Island, Massachusetts and Connecticut to protest the company’s proposed drastic and unreasonable cuts to health care, retirement benefits and take-home pay. These hard-working members of Local 328 have been trying to negotiate a fair contract with Stop & Shop since January 14 and need your support. 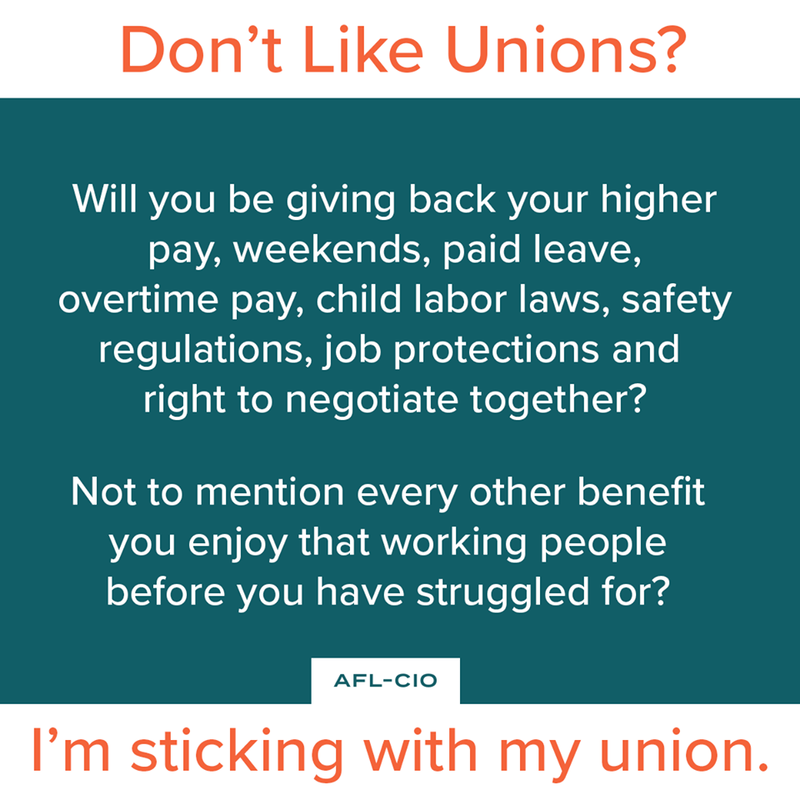 We are asking our union brothers and sisters to please stand with these courageous members by joining us on the picket lines, adopting one of our 76 sites by providing supplies, food and/or drinks or if able, by making a financial donation. We have set up a hardship fund which will go directly to Local 328 members facing financial difficulties, so that they can pay for day-to-day needs and support their families during this difficult time. 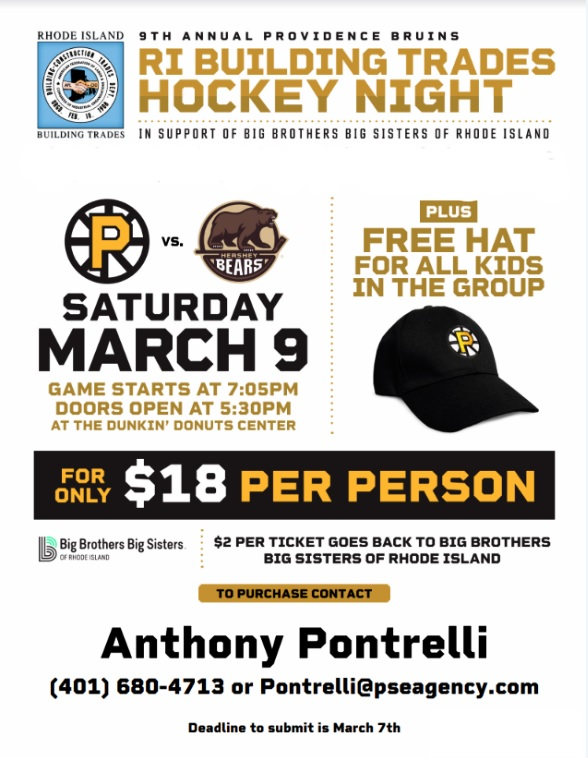 Please contact Secretary-Treasurer Domenic Pontarelli if you have any questions. 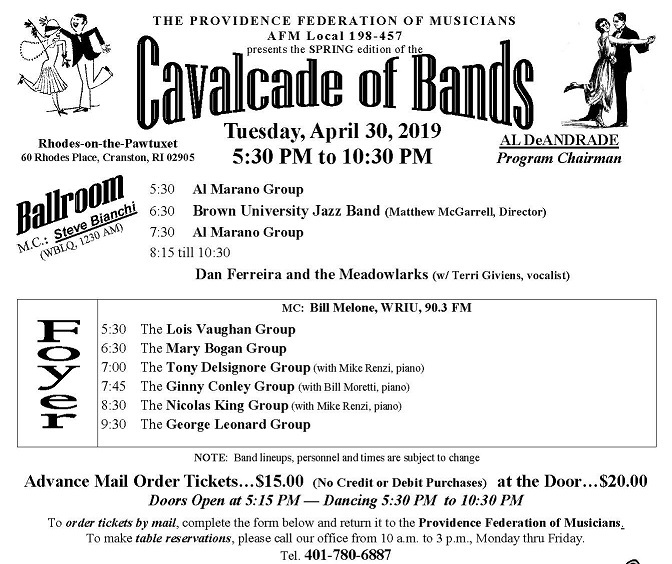 (office) 401-861-0300 or (cell) 508-400-2220. Domenic Pontarelli, Secretary-Treasurer of UFCW, Local 328 speaking at a Stop & Shop strike rally in Fall River. 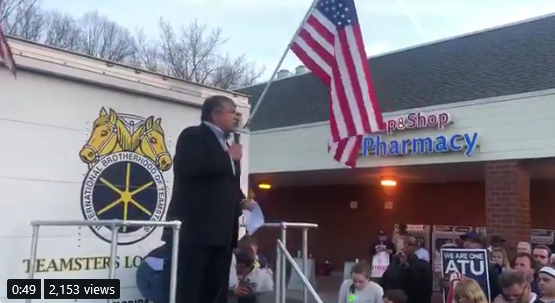 President @RichardTrumka had the opportunity to spend time with @StopandShop workers striking in New Haven, Connecticut tonight. Maureen Martin, Secretary-Treasurer of R.I. AFL-CIO supporting the UFCW workers in Narragansett while out on strike against Stop & Shop. 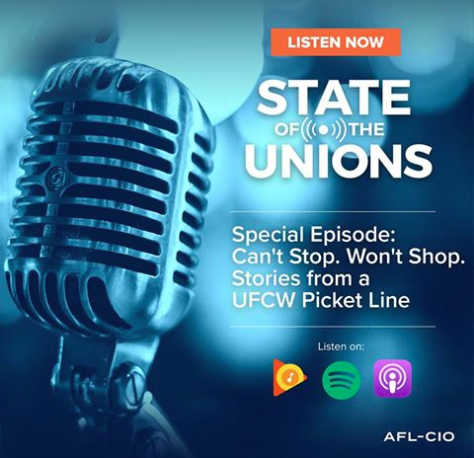 Julie and Tim talk to Kristen Johnson, a deli manager and shop steward at the Stop & Shop in Somerville, Massachusetts. Kristen and more than 30,000 of her co-workers, members of the United Food and Commercial Workers (UFCW), are out on strike for fair pay, benefits and respect on the job. 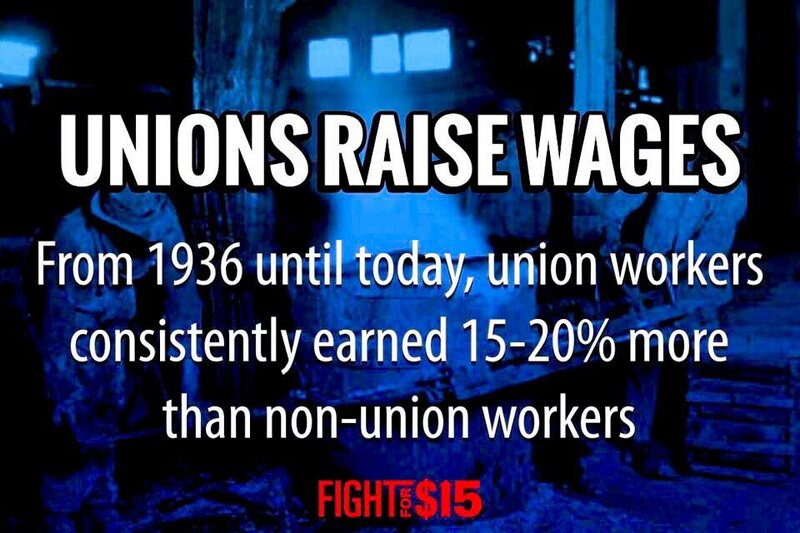 New York (CNN Business)Corporate America has been, shall we say, evolving on the minimum wage in recent years. 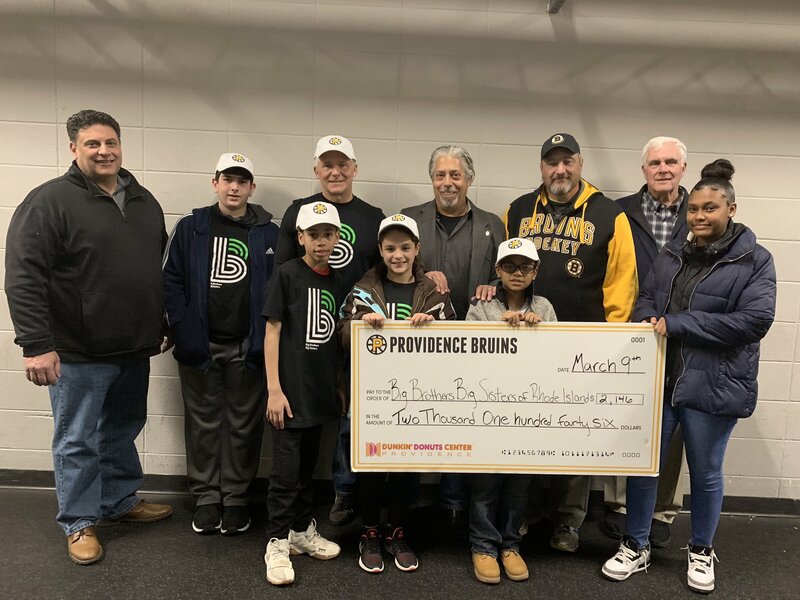 The George “Bing” Fogarty Foundation was established by the family and friends of Bing to carry on his legacy of charitable works and helping others. Bing lived his life in service of others and quietly helped thousands of people in multitude of ways. This foundation will attempt to carry on those good works by making a difference in the lives of those less fortunate and in need of a shoulder to lean on. Newly-elected V.P. of the R.I. 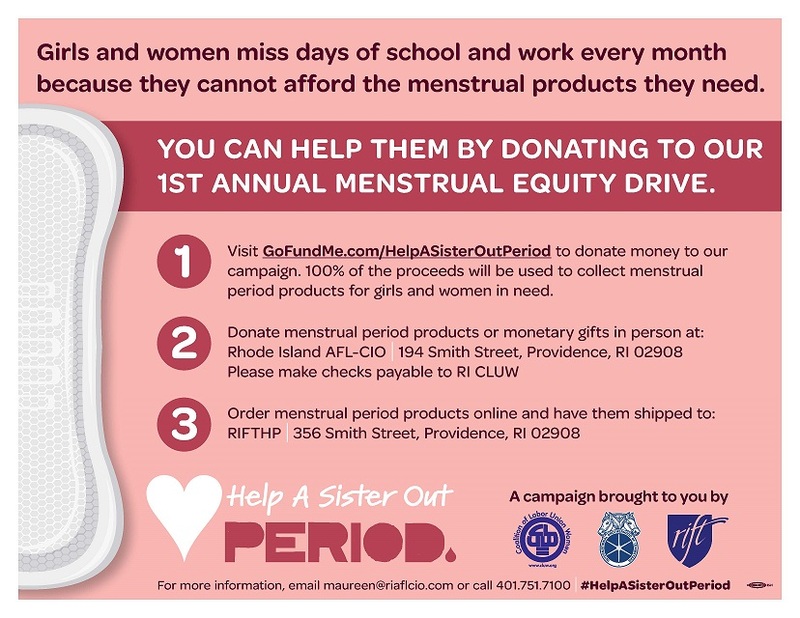 Coalition of Labor Union Women, Liz Murtha of IBEW, Local 2323, and member Thom Cahir, sit down with Erica Hammond of the Institute in the first half of the show, to talk about CLUW’s major charitable effort, “Help a Sister Out, PERIOD!” How the labor movement in the state, led by the R.I. AFL-CIO, R.I. Federation of Teachers, and Teamsters Local 251, are taking the lead to change minds and policy on how women are treated differently simply because of their biology. And in the second half of the show, Raul Figueroa of Fuerza Laboral sits down with Erica to talk about the first successful co-op to come out of the bill they sponsored and helped get passed last year; how the business has expanded and what’s in store for the future. Providence Journal: Evergreen contract bill for teachers passes R.I. House Labor Committee PROVIDENCE — Public employee unions scored their second major victory this week at the Rhode Island State House on Wednesday when a House committee approved a bill to allow teacher and municipal employee contracts to remain in effect indefinitely after they have expired. 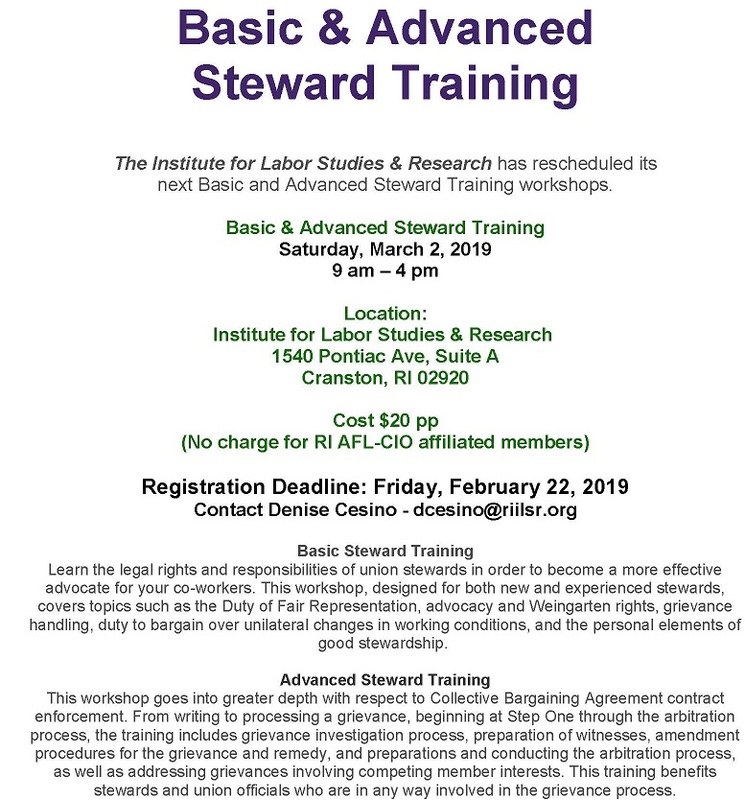 At its core, the legislation says of expired contracts: “All terms and conditions of the collective bargaining agreement shall remain in effect … until such time as a successor agreement has been reached between the parties.” In its final iteration, it also tweaks the state’s binding arbitration law in a way that worries Timothy Duffy, executive director of the Rhode Island Association of School Committees. “My greatest fear is the unintended consequences, because we don’t know what it says and what impact it has,” he said. 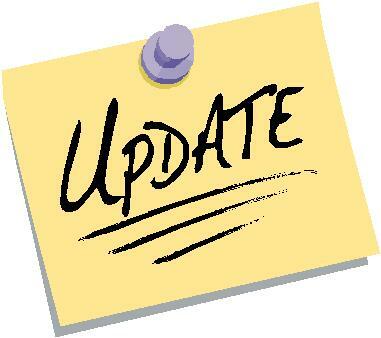 Customers have been reaching out to us to let us know they support us and have our back. We’ve put together a “Support Stop & Shop Workers” Facebook page as a place where customers can show their support and keep the pressure on Stop & Shop to do the right thing. Please share this page with your neighbors, your friends, and your family who shop at Stop & Shop to help us send a strong message to the company. Ask them to “like” the page and sign the petition on it. Thank you for helping to mobilize your community. We are stronger together. The 31,000 striking @UFCW members at @StopandShop have the support of our 55 affiliates and 12.5 million members across the country. 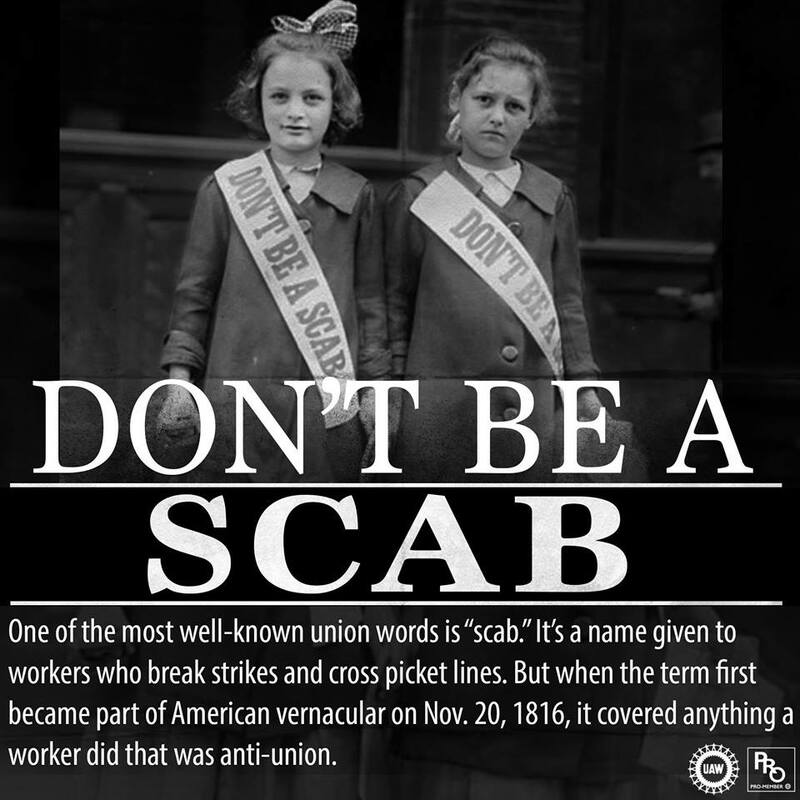 For those in the striking areas remember — don’t cross the picket line. 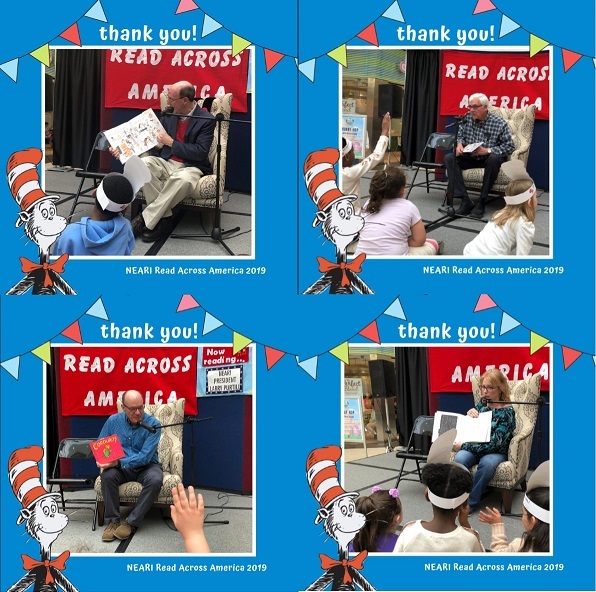 Thank you NEARI Executive Director @RobertAWalshJr, @riaflcio President George Nee, NEARI President @LawrencePurtill and NEARI Treasurer @AmandaJLBos for reading at Read Across America! 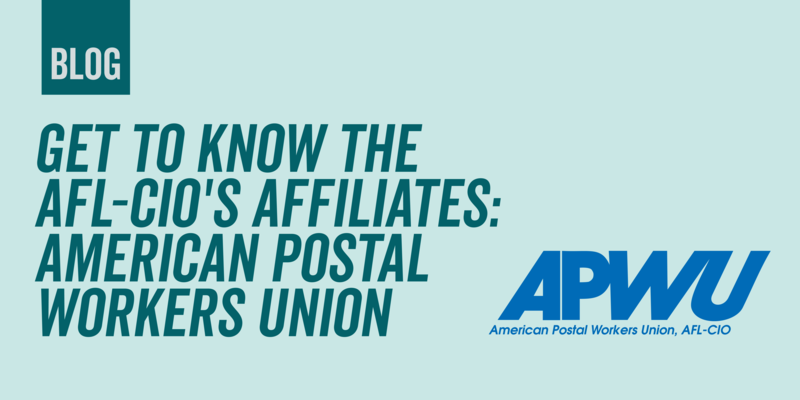 Next up in our series that will take a deeper look at each of our affiliates is the American Postal Workers Union (APWU). 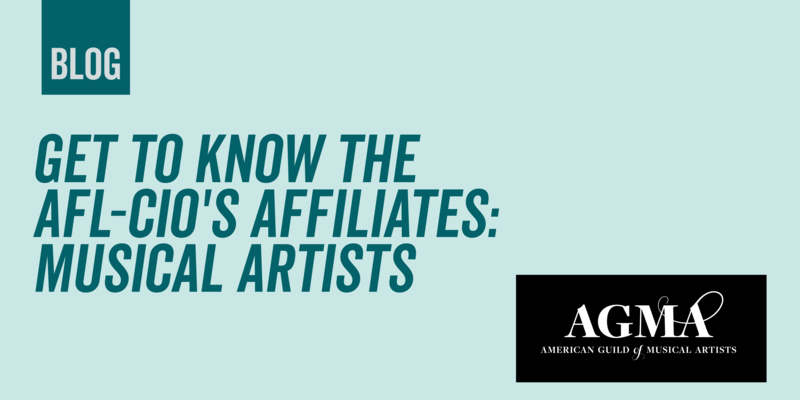 The series will run weekly until we’ve covered all 55 of our affiliates. Current Leadership of Union: Mark Dimondstein was elected president of APWU in 2013 and won a second term in 2016. He began his postal career in 1983. 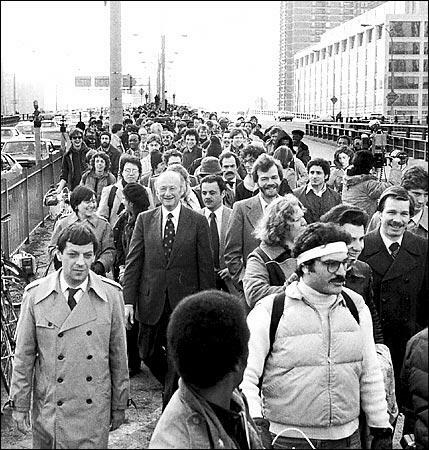 In 1986, he was elected to the first of six consecutive terms as president of the Greater Greensboro (N.C.) Area Local. Beginning in 2000, he served as APWU’s national lead field organizer. 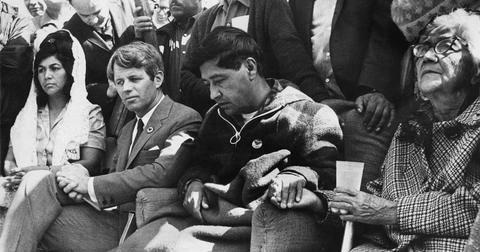 He won AFL-CIO’s Southern Organizer of the Year Award in 2001. 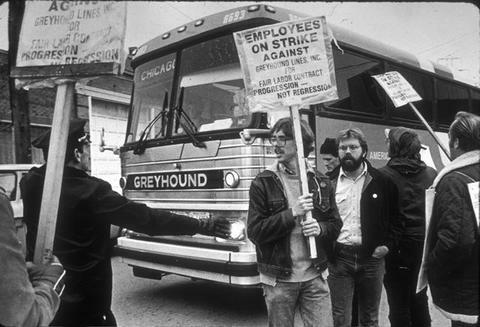 Several digital companies unionized earlier. For example, Gawker Media’s employees voted to unionize in 2015, which opened the door for several other digital outlets to do the same like Vice Media and HuffPost. 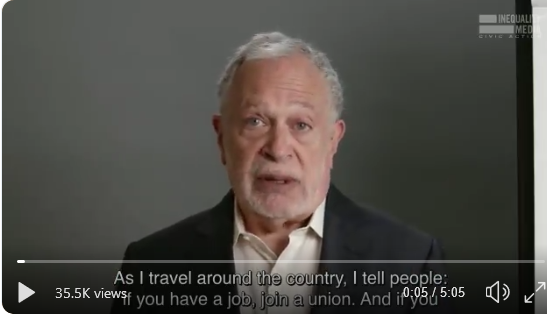 Between the lines: The unionizing spree has extended to companies that represent creators. 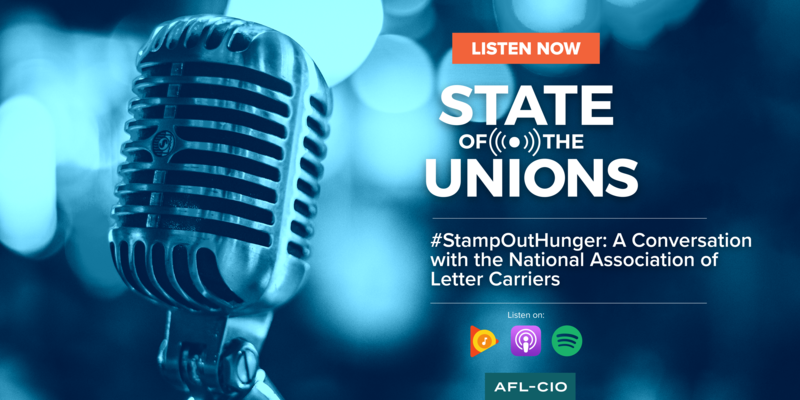 For example, podcast company Gimlet Media Group announced that a majority of employees signed union cards in March. 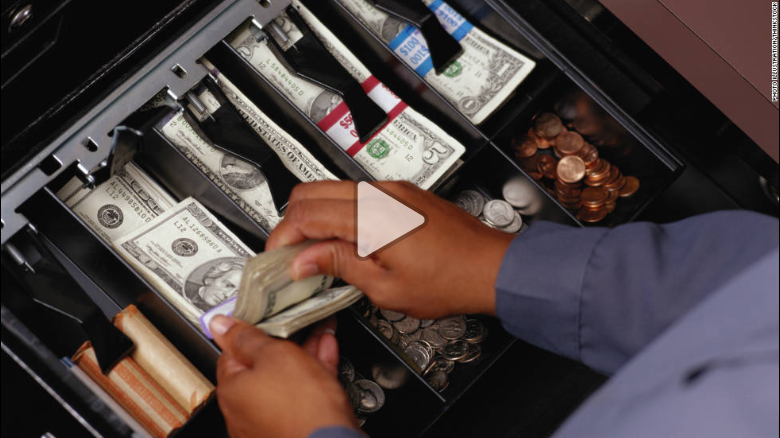 $60,000: The average starting wage of a worker who completes an apprenticeship program. 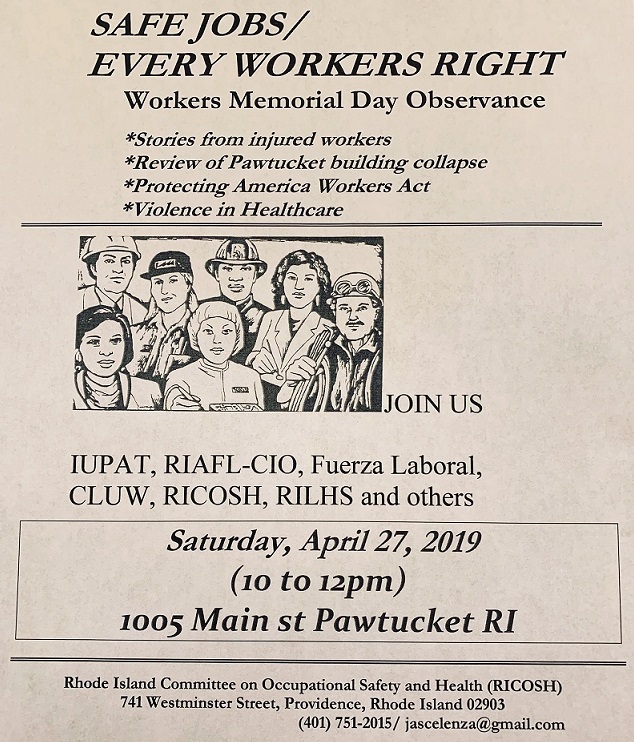 In the first half of the show, Justin Kelley of the Painter’s and Allied Trades and Erica Hammond of ILSR, sit down with Thom Cahir and talks about the upcoming planned Worker’s Memorial Day Observance in Pawtucket. The necessity for the day, especially in light of the recent building collapse, the call for the Protecting American Workers Act and a recent upswing in Violence in the healthcare industry. And on the heels of multiple dates walking the red carpet for the documentary, “Councilwoman,” made about her life from hotel housekeeper to the halls of power in Providence City Hall, Carmen Castillo of Ward Nine sits down with Thom Cahir to tell the humbling story of how the project came about and how she views governance. 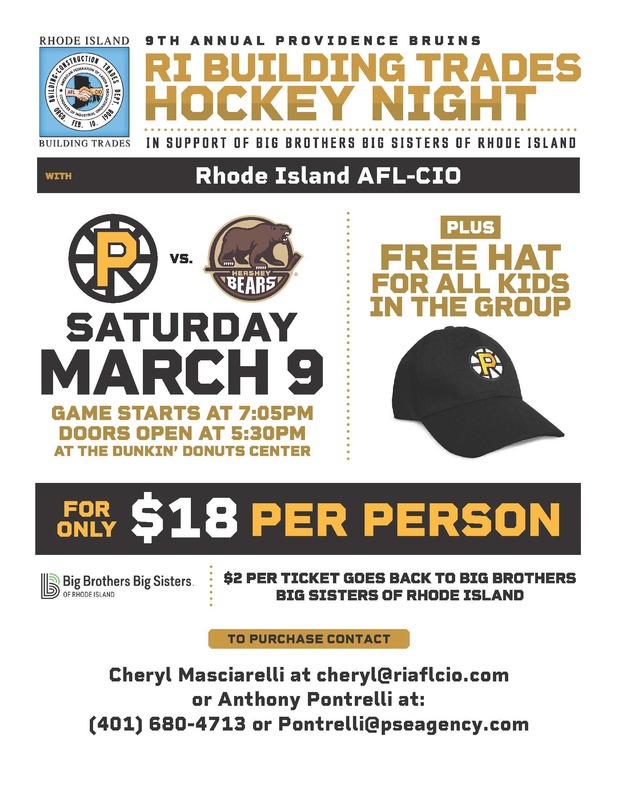 The 9th Annual Providence Bruins RI Building Trades Night at The Dunk! Raised $2,146.00 for the Big Brothers Big Sisters of the Ocean State! 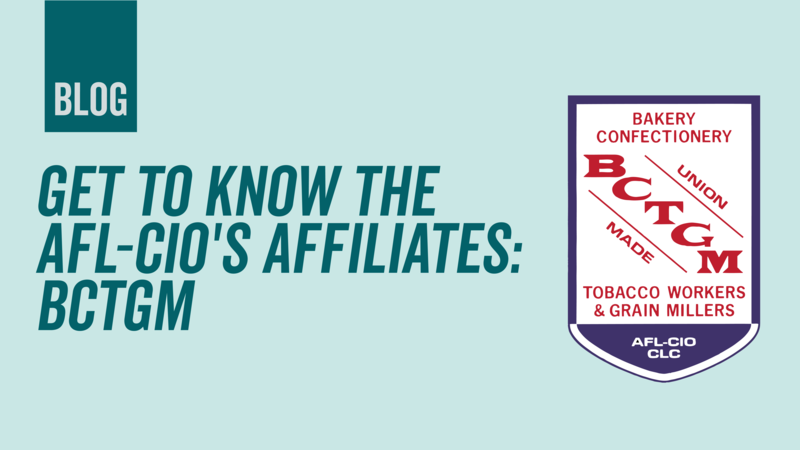 Next up in our series taking a deeper look at each of our affiliates is AFSCME. The series will run weekly until we’ve covered all 55 of our affiliates. 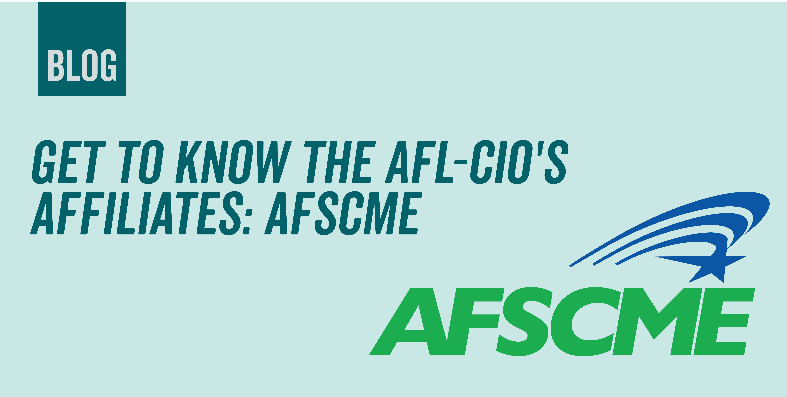 Mission: AFSCME members provide the vital services that make America happen. 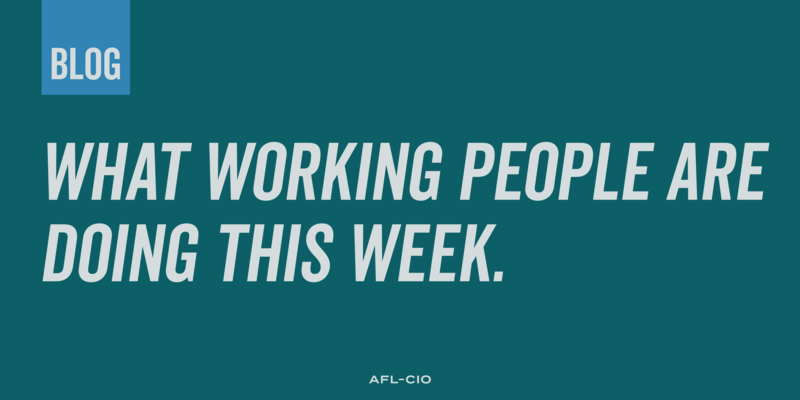 With members in communities across the nation, serving in hundreds of different occupations, AFSCME advocates for fairness in the workplace, excellence in public services and the freedom and opportunity for all working families. Members Work As: Nurses, corrections officers, child care providers, EMTs, sanitation workers, early childhood educators, home care workers, police officers, library workers, probation and parole officers, parks and recreation workers, biologists, environmental planners, watershed rangers, vehicle emissions testers, groundskeepers, food service employees, administrators, support services, information technology, waste disposal, bridge inspectors, parking attendants and many others. $2 trillion: The total infrastructure investment gap in the United States over the next decade. 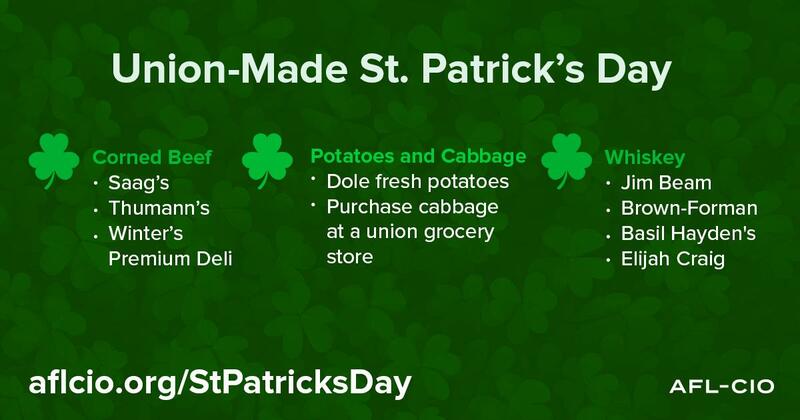 **Remember to purchase your Flowers & Food from Stop & Shop, Shaws and Eastside Marketplace. 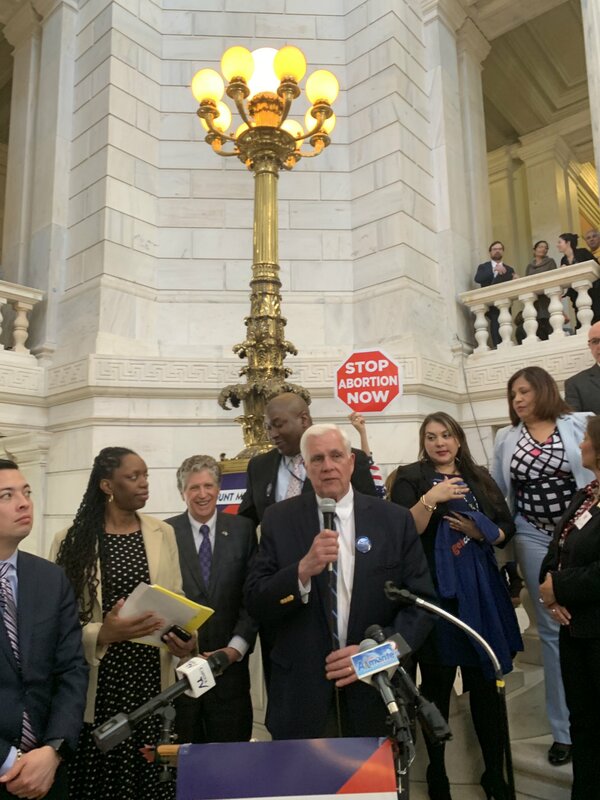 Ahead of the General Assembly taking up several bills addressing raising the minimum wage, the unions (SEIU 1199NE, RIFTHP, UNAP and IAM) representing direct service workers held a rally at the State House Library, hosted by RI AFL-CIO President George Nee. 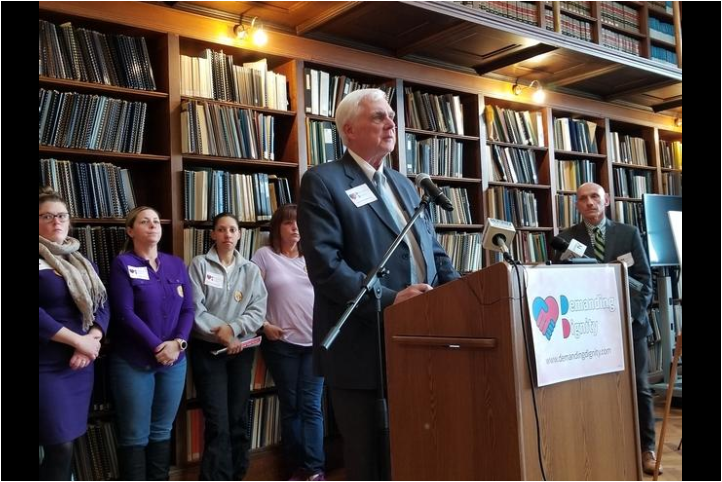 Highlighting the companion bills submitted by Sen. Lou DiPalma in the Senate and Rep. Evan Shanley in the House to provide a living wage of $15/hour for working with Rhode Islanders living with intellectual and developmental disabilities is a priority for workers in this industry again this year. 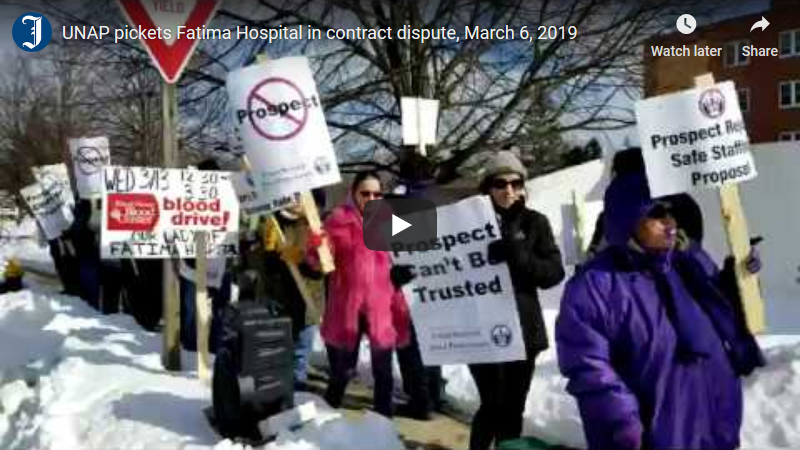 Contract for members of Local 5110 of the United Nurses and Allied Professionals, representing more than 400 secretaries, phlebotomists, certified nursing assistants, kitchen, laundry and environmental workers, expired on Jan. 31. Thanks for your service to our state! As we continue our work on financial empowerment and economic growth, we want to learn more about the impact of the student loan debt crisis on Rhode Islanders. If you are working with a student loan servicer and are willing to share your story, please complete this five-minute survey about your experience. At the beginning of the survey, please provide your contact information. Someone from Treasurer Magaziner’s office may be in contact with you if we need additional information. 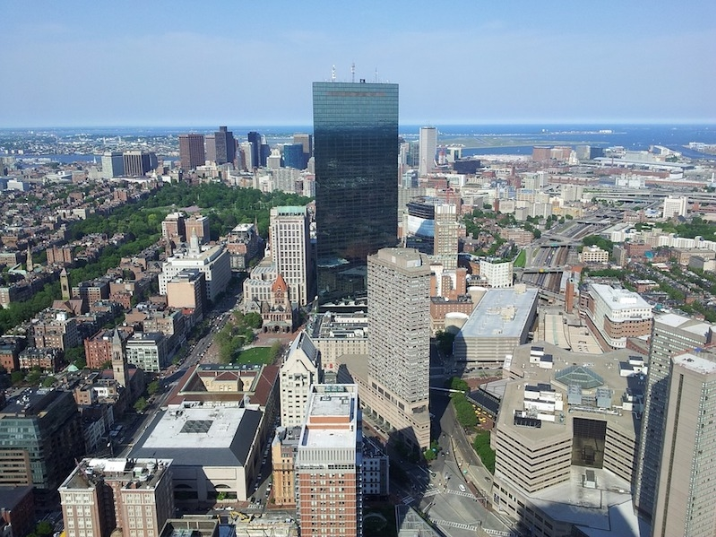 Massachusetts Attorney General Maura Healey cited 66 construction companies with wage theft violations in 2018. The penalties total $2.7 million, which include almost $1.5 million in restitution and more than $1.2 million in fines. 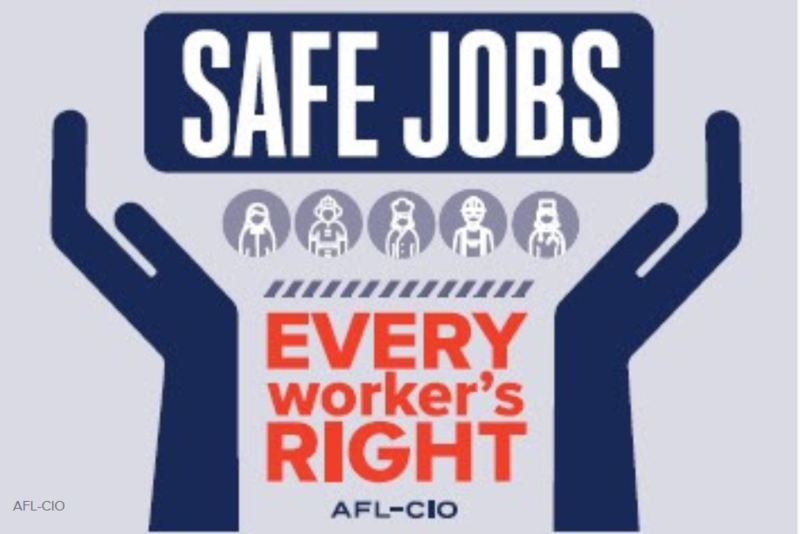 Violations occurred across both private and public work projects including paying improper wages, prevailing wages and overtime; submitting inaccurate certified payroll records; retaliation against workers asserting wage violations; failure to furnish records for inspection; and failure to register and pay apprentices correctly. One of the largest wage violation assessments was $585,000 for restitution and fines against ERA Equipment LLC and its owners. 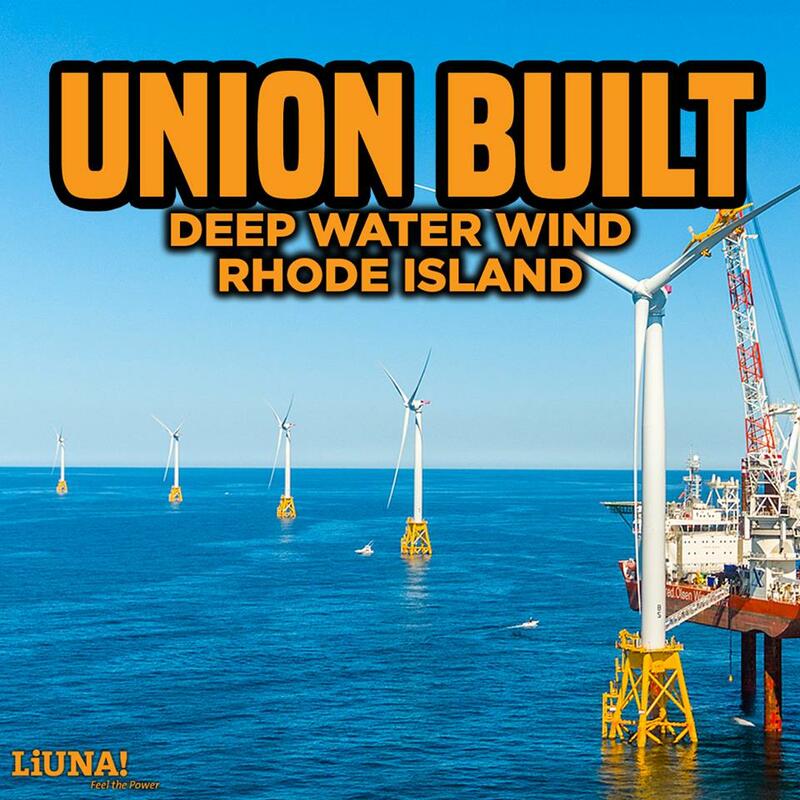 The company was cited for not paying workers in a timely manner, failure to pay prevailing wage and overtime; failure to provide workers with proper pay stubs; and inadequate recordkeeping. 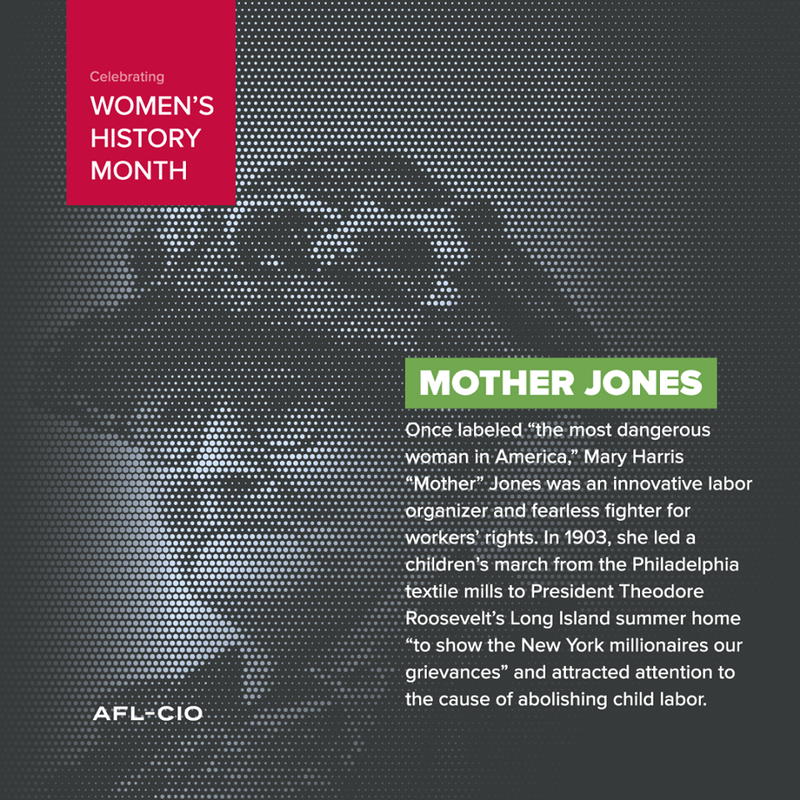 The American Labor Studies Center’s website includes a number of excellent resources for teachers who would like to insure that not just the rich and famous women are recognized, but all women who have made their mark on history. 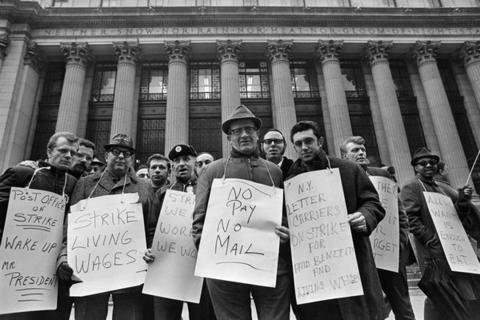 “A Brief History of Women in the Labor Movement,” an article by Juliet H. Mofford for Women’s History Magazine,is an excellent brief piece that could be easily reproduced for students. The Face of of the Labor Movement: Women on the Front Lines highlights a number of women trade union leaders. The Illinois Labor History Society has an article “When Women Were Knights”citing their role in the 19th century labor organization and many other excellent resources. The Women’s Trade Union League was a key institution in reforming women’s working conditions in the early 20th century.The WTUL not only played a pivotal role in organizing the garment workers and textile workers, but in working for protective labor legislation for women and better factory working conditions for all. 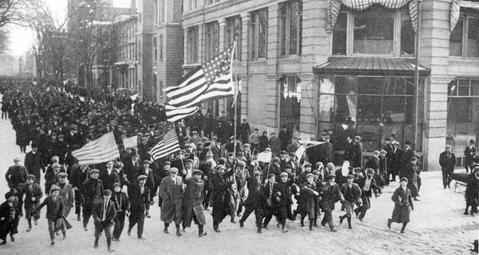 Highlights of American women’s labor organizing in the late 19th century traces a number of efforts by women to organize in the 1800s. The Lowell Mills Girls highlights the story of the women and girls who worked in the Massachusetts Lowell textile mills in the mid 1800s. For more information, see –WEBSITE. 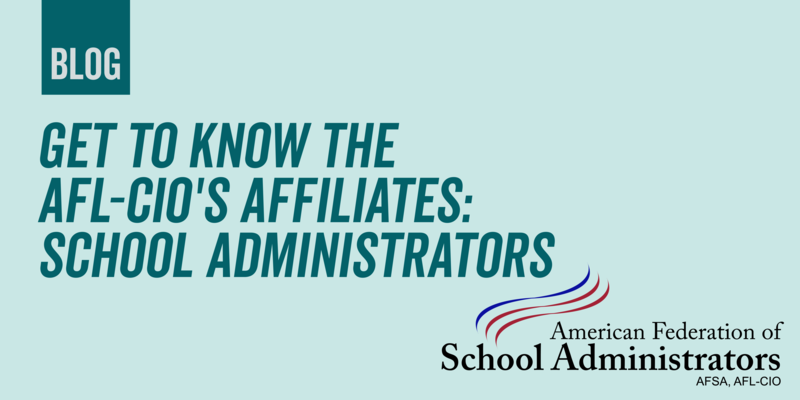 Next up in our series that will take a deeper look at each of our affiliates is the School Administrators (AFSA). The series will run weekly until we’ve covered all 55 of our affiliates. Mission: To promote the professional, occupational and economic interests of its members and fight for the highest quality public school education for all pupils. Current Leadership of Union: Ernest A. Logan began serving as president in July 2018, succeeding the late Diann Woodard. Leonard Pugliese serves as executive vice president and Lauran Waters-Cherry serves as secretary-treasurer. Members Work As: Principals, assistant principals, administrators, supervisors and other school leaders. 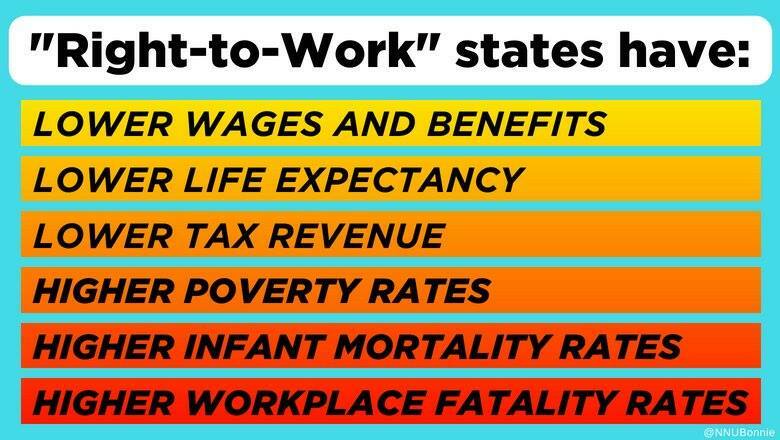 11%: The percentage of American workers who are paid poverty wages. The first hard hat, produced by a WWI doughboy for the mining industry, came out in 1919. That inventor’s great granddaughter explains how this PPE revolutionized industrial work. 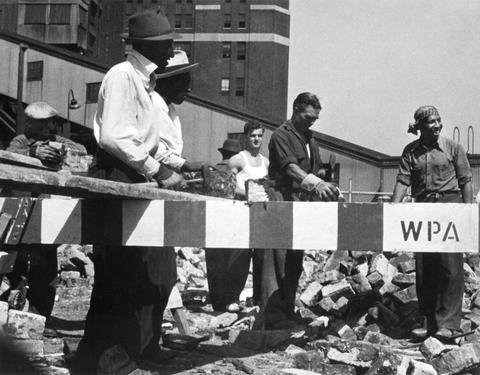 In the first half of the show, Jim Celenza from RICOSH and Lisa Nelson from the R.I. Institute for Labor Studies and RICOSH sit down with Thom Cahir and explain the latest revisions introduced in Congress to the nearly 50-year old OSHA standards. Revisions, that if adopted, will mean more workers protected, more protections for whistle-blowers, more potent penalties for employers, and even a chance for families to weigh in during the investigative process. And in the second half of the show, Secretary of State Nellie Gorbea sits down with Jim Parisi to talk about the need for constructing a permanent Archives for the nearly 400-year old accumulation of documents and artifacts that consists the history of our state from colonial times until the present. Under the banner “Demanding Dignity,” legislators, advocates, labor leaders and family members of people with developmental and intellectual disabilities filled the State House library on Wednesday to urge passage of legislation that would raise to $15 the minimum wage of workers who provide services to thousands of those individuals. PROVIDENCE — Under the banner “Demanding Dignity,” legislators, advocates, labor leaders and family members of people living with developmental and intellectual disabilities filled the State House library to overflowing on Wednesday to urge passage of legislation that would raise to $15 the minimum wage of workers who provide services to thousands of those individuals. 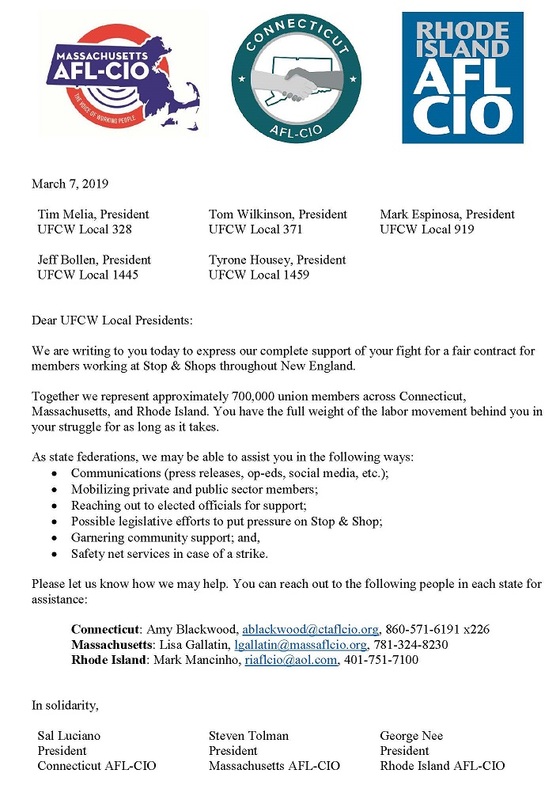 Local 1445 of the United Food and Commercial Workers International, which represents about 10,000 workers at Stop & Shop supermarkets in Massachusetts, Maine and New Hampshire, gave its leaders the go-ahead to call a strike after negotiations in Providence failed to produce an agreement Saturday. Rhode Island workers have not yet voted. 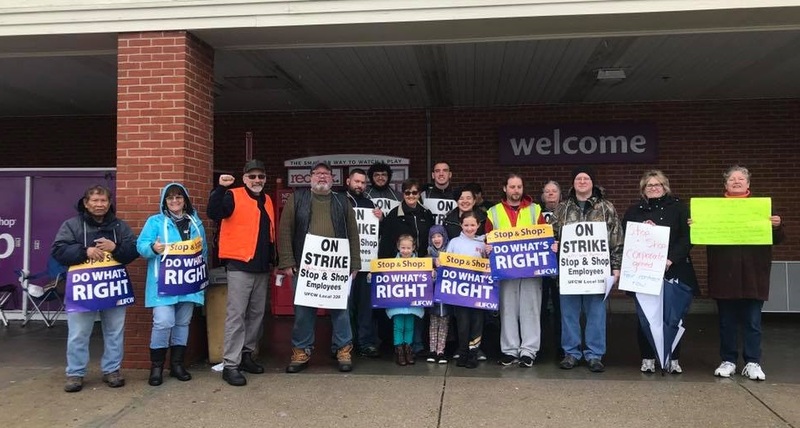 PROVIDENCE — One of the five locals of a union that represents Stop & Shop workers in New England voted on Sunday to authorize a strike after their three-year contract expired at midnight Saturday. 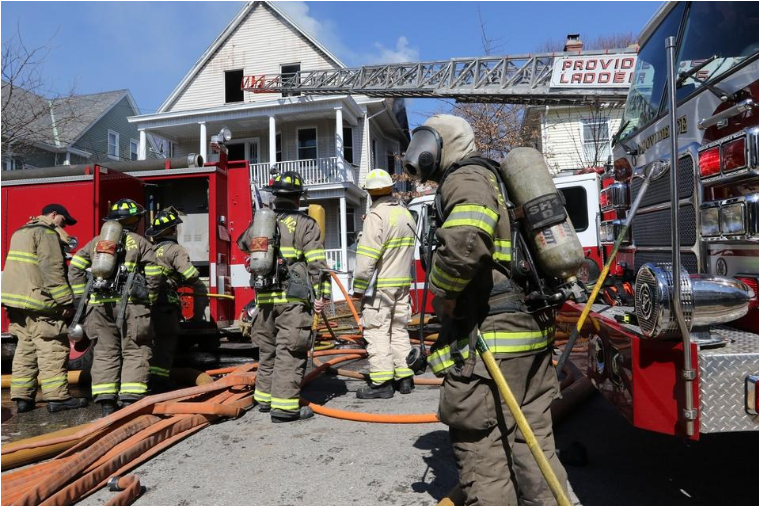 The International Association of Firefighters Local 1261, which represents the more than 150 firefighters in the city, said it was calling attention to many concerns stemming from members working without a contract for three years. 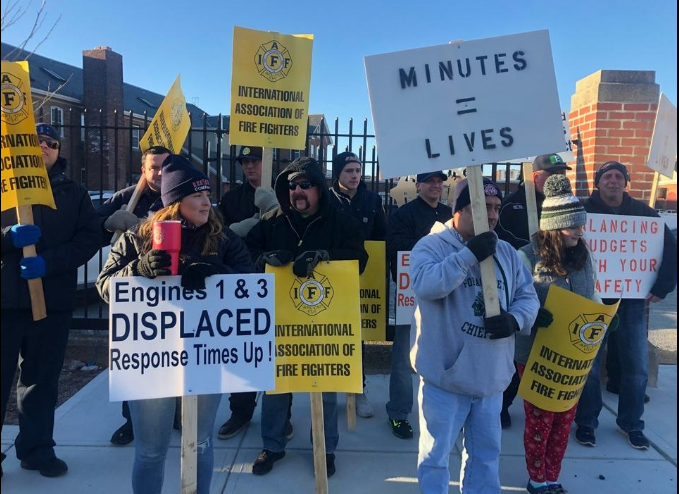 PAWTUCKET — Dozens of firefighters and their families picketed the entrances to Isle Brewers Guild, where Pawtucket Mayor Donald R. Grebien held a fundraiser Tuesday afternoon. Workplace violence is a serious and growing problem for working people in the United States: It causes more than 450 homicides and 28,000 serious injuries each year. Workplace homicide now is responsible for more workplace deaths than equipment, fires and explosions. Two of every three workplace violence injuries are suffered by women. Health care and social service workers are at greatest risk of violence on the job because of their direct contact with patients and clients. They are five times as likely to suffer a workplace violence injury as workers in other occupations. 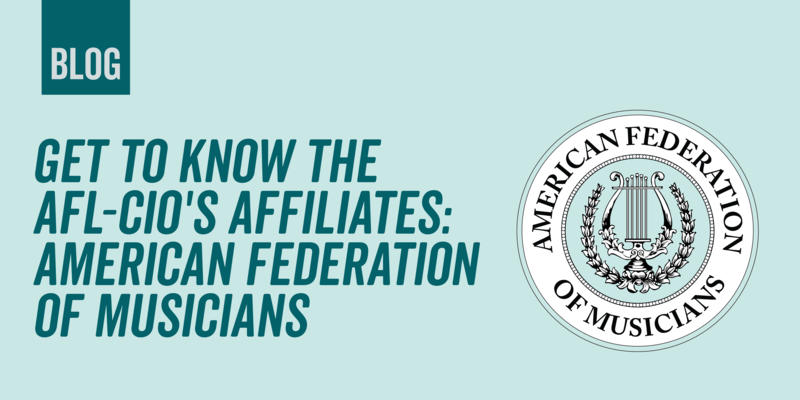 Next up in our series that will take a deeper look at each of our affiliates is the American Federation of Musicians (AFM). 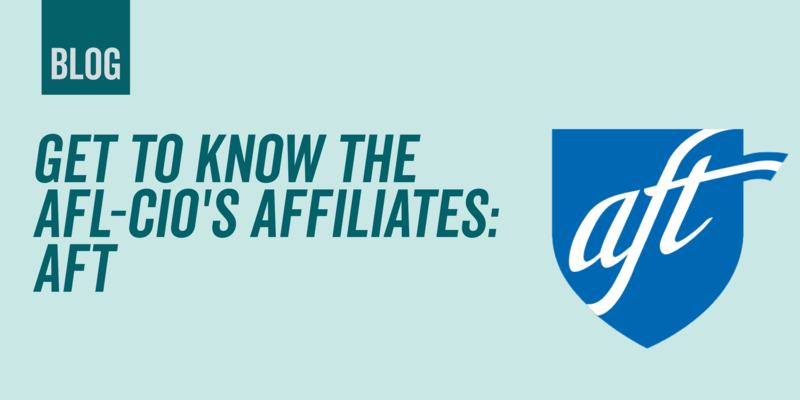 The series will run weekly until we’ve covered all 55 of our affiliates. Mission:Professional musicians uniting so that they can live and work in dignity; with work that is fulfilling and compensated fairly; have a meaningful voice in decisions that affect them; have opportunities to develop their talents and skills; use their collective voice and power through a democratic and progressive union; and oppose the forces of exploitation through union solidarity. Current Leadership of Union: Ray Hair is the 12th international president of AFM. Bruce Fife serves as international vice president while Alan Willaert serves as vice president from Canada. Jay Blumenthal is the secretary-treasurer and the executive officers consist of: John Acosta, Tino Gagliardi, Tina Morrison, Joe Parente and Dave Pomeroy. Current Number of Members: 80,000. 1999: The year California became the first state to require minimum nurse-to-patient ratios. 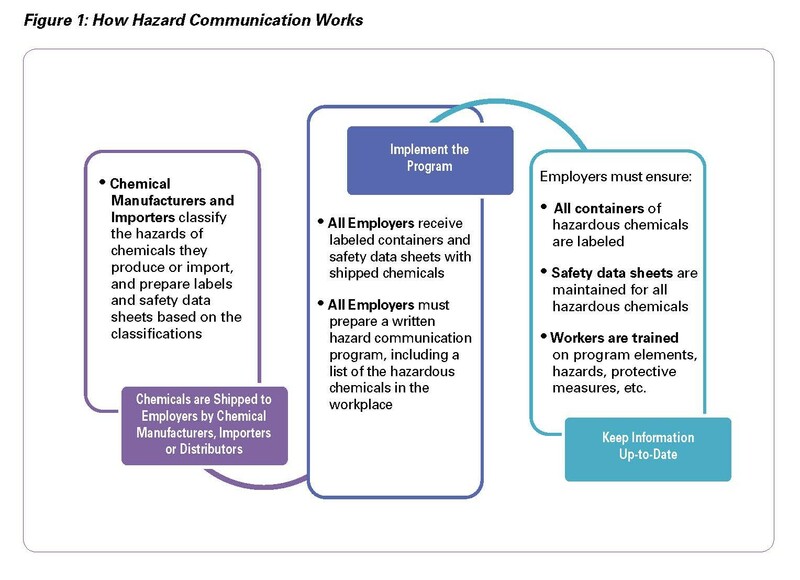 In the first half of the show, Jim Celenza from RICOSH and Lisa Nelson from the R.I. Institute for Labor Studies and Research and RICOSH sit down with Thom Cahir and explain the latest revisions introduced in Congress to the nearly 50-year old OSHA standards. Revisions, that if adopted, will mean more workers protected, more protections for whistle-blowers, more potent penalties for employers, and even a chance for families to weigh in during the investigative process.